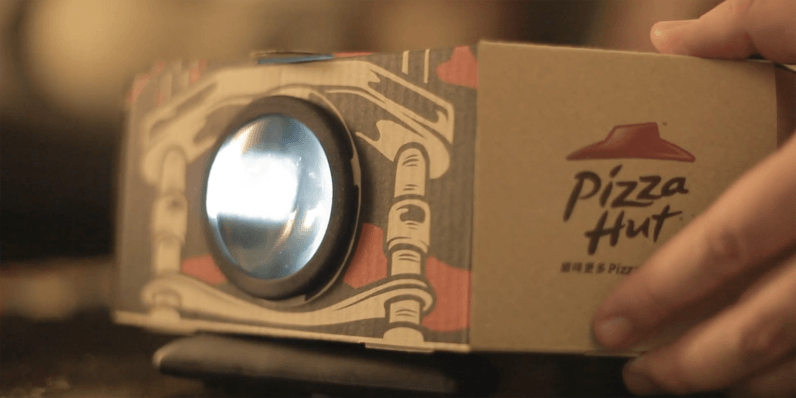 In a moment that I’m imagining featured at least one stoned executive, Pizza Hut came up with a genius marketing gimmick idea for a dual-purpose pizza box that could keep your food warm (and in one piece) all while moonlighting as a smartphone-powered projector. If you grow tired of Pizza Hut’s cinematic masterpieces, you can always rely on Netflix. The quality is said to be rather poor, and it requires a really dark room in order to see much of anything, but it’s still a cool concept from a company that’s obviously thinking outside the (pizza) box.